SALUTATIONS to the blessed Divine Mother, the life of our lives, the sole support of our existence, the very essence of our being, the inmost core of our consciousness, the goal and ultimate destination of our life, the glorious fruition of our Yoga Sadhana, the Pure Existence-Knowledge and Bliss. We bow to Her again and again as Mother Durga, Lakshmi, and Saraswati. May Her Grace be upon us all. 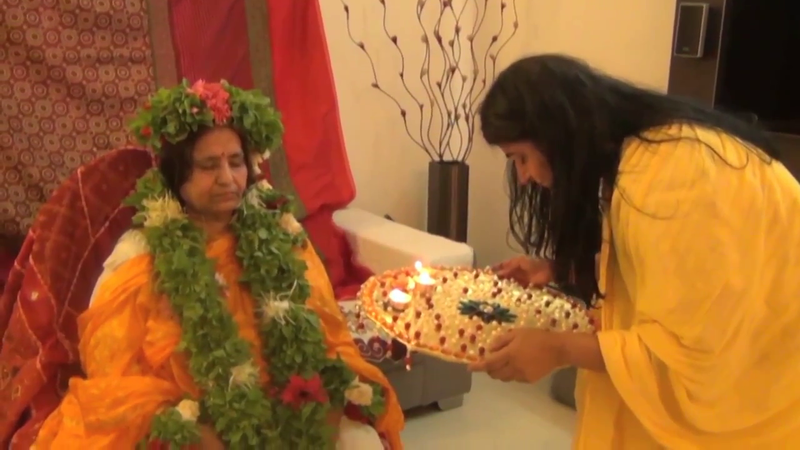 She manifests to the individual in the intimate sphere of the home, the domestic sphere, at heart in Her very important and significant inner aspect as the Daivi Sampat which are developed in the personality of the seeker and Sadhaka and the Mumukshu. In these two aspects She is of a special and practical importance to us all in as much as knowing the Mother in these aspects we shall be able to recognise both Her presence and Her absence as such, and by recognising which we shall be able to strive to preserve those aspects in which She is present and try to cultivate and bring into manifestation and expression those aspects of Hers which we may find to be absent. Click here to know more………..